-Ideal for use in Giant airplanes. -Brushless motor provides longer life and cooler operating temps. -Extremely strong unique steel gears ensure long-life and durability. 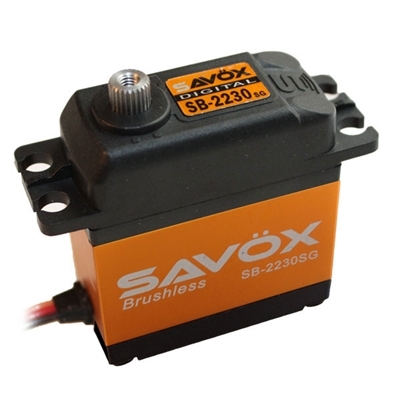 -Our servos are totally green � from materials to production, these servos are environmentally friendly. -Ideal for giant scale aircraft, monster truck, 1/8 scale. Dubro Safety Lock Kwik Link Dubro 4-40 Ez Connector w/ Steel Push Nuts Airtronics On/Off Receiver Switches Savox Waterproof Micro 0250MG Servo 69in.oz.